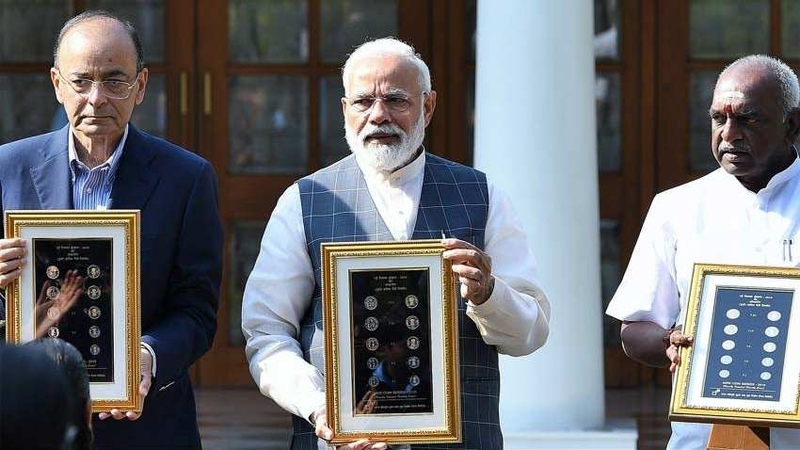 PM Narendra Modi released the coins at a function at 7, Lok Kalyan Marg, where visually impaired children were specially invited. Modi introduces a new series of coins loaded with a feature that even the ‘Visually impaired’ would be able to use. This circulation coins would be in the denominations of Rs. 1, Rs.2, Rs.5, Rs.10 and 20Rs. For instance, the coins increase in size and weight as per their denomination. The newly included coin of Rs 20 will be 12-sided with no serrations while the rest of the denominations would be round in shape. Releasing the series, the Prime Minister said that the Union Government was ‘guided by the vision of reaching the last mile and the last person’. He said the new series of coins was designed with that vision in mind. Modi also thanked the National Institute of Design for the design, Security Printing and Minting Corporation of India Pvt. Ltd. And the Ministry of Finance for the introduction of new coins.